And that’s pretty much what’s been keeping us occupied these past few weeks that we haven’t been blogging. What started out as a temporary hiatus designed to give our full-contact-blogging related injuries time to heal, morphed into an all-out effort to nail down the specifics of our life going forward – or at least for the next eight months. What made this particular stretch of our itinerary so challenging is that we decided to significantly slow down the pace of our travels this fall. And while normal people might think that would make planning easier, in reality it hasn’t. We’ve struggled mightily to find suitable apartments in desirable locations to rent for an entire month at a time. One month leases are mostly unheard of in the U.S., which is exactly where we’ve been trying to find them. We were also attempting to incorporate a number of good travel deals into our plans, all which came with various restrictions. We’d find a great airfare deal only to discover that the car rental we needed would cost double if we flew on those days; or the apartment we wanted wasn’t free on the days we could use our frequent flyer miles to get there; or – when all those things seemed to finally fit – we’d learn that one element of our carefully crafted plan had mysteriously become unavailable, sending our entire itinerary into a cascading failure. 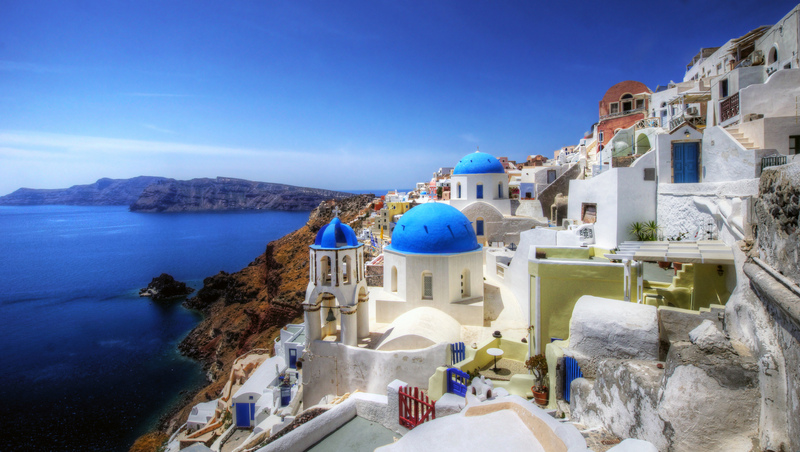 When we head out from our current home base in the New York City area at the end of the month we’re bound for Greece. Two weeks in the islands, three day in Athens, and a road trip around the Peloponnesian peninsula. When we learned that airfare from Athens to Dubrovnik, Croatia, was the same whether the layover in Rome was four hours or four days, the choice was obvious. The only question we have now is how many bottles of Italian wine we’ll be able to drink during that time. After a rushed schedule through Greece and Rome we’re looking forward to kicking back for three weeks in Dubrovnik, a city so pretty it serves as the filming location for the capital city in the fantasy epic Game of Thrones. 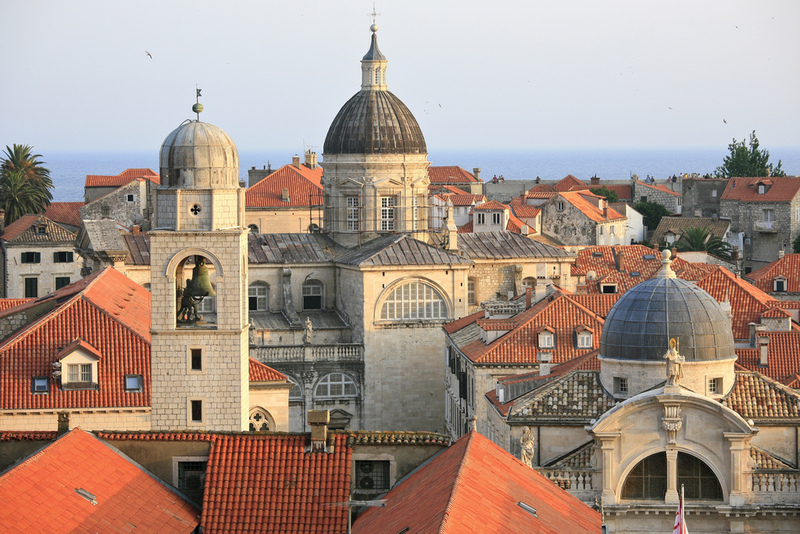 After relaxing in the real-life version of King’s Landing for a bit, we’ll dip down into Montenegro and scoot over to Bosnia-Herzegovina before returning to Croatia where we’ll spend the month of July exploring more of the country and its islands. A ferry from Northern Croatia will bring us back to Italy, only this time our port of call is Venice. 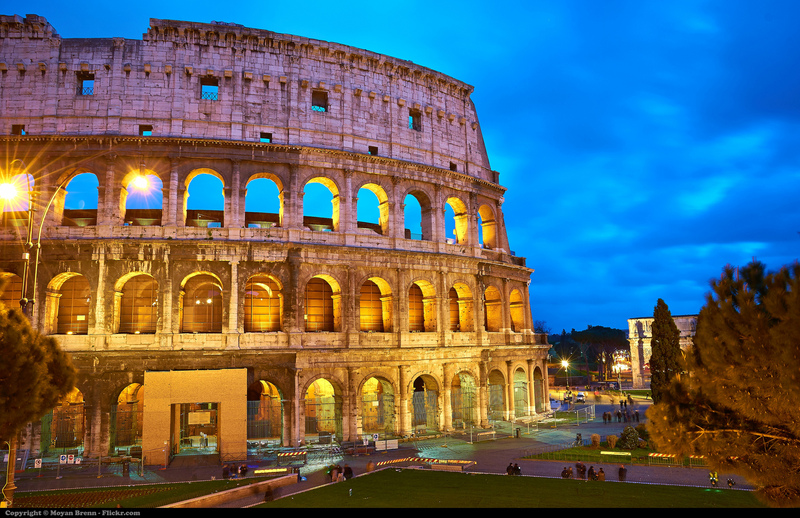 Planning ahead means we’ll be lodging in a prime location near St. Mark’s Square at a reasonable cost. Then its on to Verona, Lake Como, and other locales in northern Italy before making our way further northward into the Swiss Alps. When researching flights from Switzerland back to New York we discovered a great promotion run by Iceland Air where they allow travelers to make a seven-day stopover in Reykjavik at no additional cost. Because Iceland Air also had the lowest fares for our preferred travel dates and destinations, we’ll be plunging into the Blue Lagoon while on route from continental Europe to the U.S. Someone once asked if “Everywhere Once” means that we’ll only visit a place a single time. And while that’s mostly true, we really see it as Everywhere (At Least) Once. And so we’ll round out 2015 in some much-loved locales. October in New York City. November in Asheville, North Carolina. 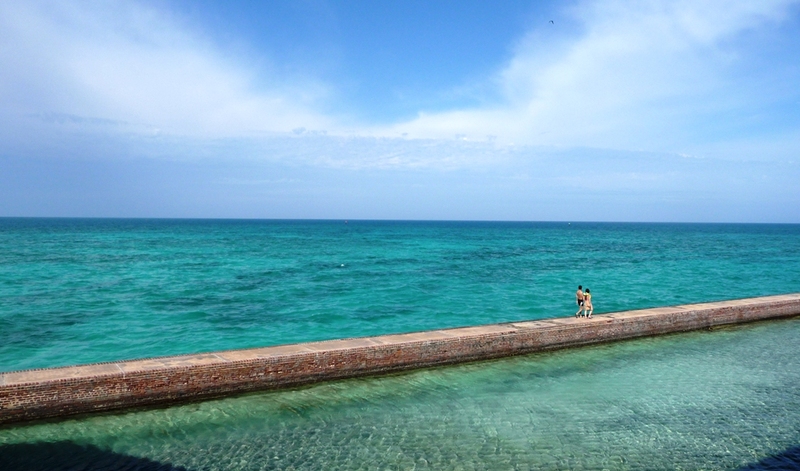 From there we’ll road trip to Key West for a sun-soaked December. And after we ring in the New Year in Key West? We have no idea. Highly recommend Sarajevo while you’re in Bosnia, and Macedonia is worth a look if you run out of places in Croatia and Montenegro. You are going to Plitvice, right? Haven’t been to Lake Como yet, likely this fall, but I loved Lake Maggiore next door. 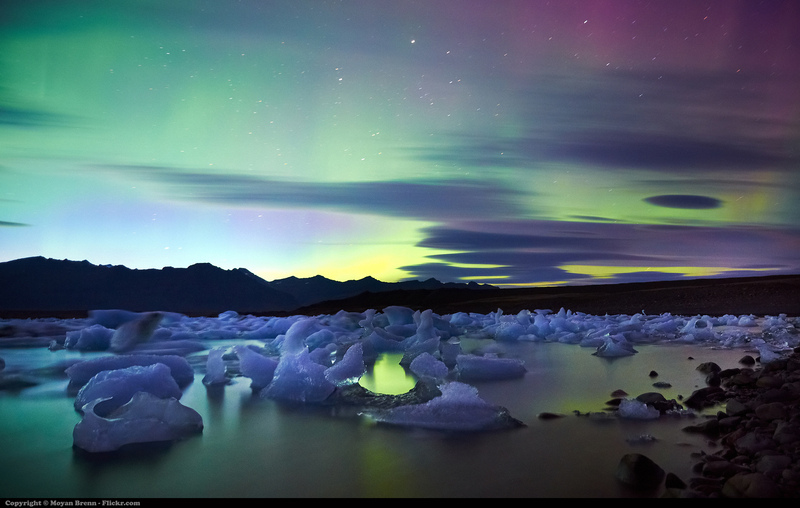 Are you flying round trip on Icelandair? I was just looking at their website yesterday to try to book a flight back to the US with a stopover, and I didn’t see how to do it for a one-way and was figuring I’d have to call them. We are going to Sarajevo and Plitvice this trip but will not make it to Macedonia. And Dubrovnik will be totally fine. Everywhere in Europe is crowded during the summer (thus the need to make plans several months in advance) We’re there early enough in the season to miss the worst of the cruise ships and have an apartment right in the old town so we can enjoy the city both before the hordes arrive and after they leave. We always meant to write about the U.K. We spent five great months there. We decided to skip over it so we’d be more current while traveling in Asia. Now we’ve fallen behind again. We’ll have to figure something out because clearly we’re just a bunch of slackers. Lol! I know how hard it can be to travel and write at the same time – my blog has me on the border of Romania and Hungary in mid-September, and I’ve been home since December… I’m glad to hear you enjoyed the UK – I was born and grew up in England. We really did love it. Even 5 months there wasn’t enough to get everywhere we needed to go. So we’ll be back. And maybe we’ll even write about it this time. Apartments.com lets you filter by furnished, and often the complexes that offer furnished apartments are also the ones that do monthly leases (catering to the contractor crowd). The best bet for finding these is in big metro areas. Check out corporatehousingbyowner.com – it’s just as the name implies, but with all short term rentals catering not to vacationers but the in-transit working crowd. Through both of the above we’ve bookmarked some great-looking 1 to 3 month “settle in” options here stateside, but like you guys, much of the next 9 months we’ll be in Europe. Hi Chuck & Lori. Thanks for the websites, we’ll check them out. Have you actually stayed in places booked through either of these sites? We’ve had issues with other websites listing phantom apartments, fronting for scammy brokers, or just generally not delivering what they advertise. If you (or anyone) has had good experiences with thse or other sites we’d be grateful to hear about it. Let us know where you’ll be, and maybe we can meet up again. CorporateHousingByOwner.com is the site we used last year to rent our house out (which we sold last week, by the way, so we’re officially full time nomads now–we’re gonna miss Pure! ), but we’ve only surfed on the renter side of the site so far. There seems to be good site and community policing in place. I used apartments.com back in 2005 to find a short term rental while I had a project in Seattle. They list almost entirely commercial complexes. Good point, though. I think a bit of extra research and common sense would keep most everyone out of trouble. That is some impressive planning. Dubrovnik is big on my list, so I’ll be watching closely. Ever consider going to Scandinavia? Very expensive but worth the effort of finding lower cost options. We’ve been to Sweden but only for a short trip. It’s on our list to go back now that we have more time. Denmark and Norway are definitely worth visiting. Check out the Hurtigruten website for the “world’s most beautiful cruise”. Not your typical cruise in any sense of the word. Massive planning! Looking forward to your travels. I love it when you blog about food, it’s good to know what people are eating in different parts of the world. Do you use travel insurance? We have in the past, and one year it was a VERY good thing we did, but it has gotten really expensive. Our general rule is to only insure against losses we couldn’t otherwise afford. Our travel expenses never rise to that level so we’ve always gone without. And we’ll see what we can do about more food blogging. Thanks for your feedback. WOW, what enticing destinations! I’ll be following your adventures and posts closely, as I’m planning my own trip to Europe at the end of September 🙂 And I’m so intrigued by the stopover-in-Iceland option- definitely going to see if I can swing that! What an exciting itinerary! We have had good luck finding monthly rentals in the US using airbnb and vrbo.com. Even if a monthly rate is not listed, often an inquiry to the host will result in a quote that’s quite reasonable when compared to the weekly rate. Last year we spent 1-2 months in five different cities this way. We rely on Airbnb pretty heavily ourselves. And most of the time it is fantastic. But we’ve found that certain cities are problematic. It’s become very difficult to secure monthly rentals in New York City, for example (thanks, I think, to the Attorney General carrying water for the hotel industry.) The apartment we’re in now near NYC we rented through Airbnb but it took 12 tries to find someone who would commit to a full month. Key West is another area with very small inventory. We lucked into a great place at a great price for this December but if you do a search now (8 full months ahead of time) you’ll find very little on the market and the listings they do show average a little over $7,000 for the month. So I may have misstated our problem slightly. It may not be that hard to find monthly rentals in the U.S. It’s just hard to find them in the cities we want to stay for that long. Love the photos! We were toying between Dubrovnik and France for our honeymoon, and eventually picked France. However, I’m really looking forward to reading about your trip to Croatia … or Westeros if you will! France is simply awesome. It might just be our favorite place on earth. Where will you be visiting in France? And, btw, congratulations! !